Newcomer Family Obituaries - Donna June Lakins 1949 - 2018 - Newcomer Cremations, Funerals & Receptions. 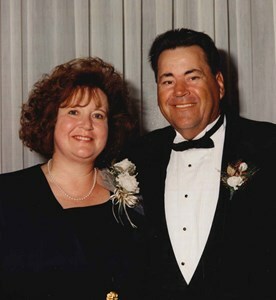 Donna June Lakins, 69, of Mogadore, passed away on December 4, 2018 and is now reunited with her husband, Jerry. She was born in Akron on March 11, 1949 and graduated from Springfield High School. Donna took great pride in serving as a manager at Wally Waffle in Tallmadge for over 25 years, where she made many friends. She was a free spirit who devoted herself to her family. She lived for her grandchildren. Her favorite times were when she was relaxing to music, playing cards, and hosting gatherings for family and friends. Donna was preceded in death by her husband, Jerry Lakins; father, George W. Coen; mother, Macil F. Coen; and brother, Garrett Coen. She will be dearly missed by her sons, Jody (Tracey) Lakins and Jesse (Renae) Lakins; grandchildren, Madison, Bryce, Mara, Tristan, Brayden, and Everly; many friends; and beloved dogs, Katie, Sammy, and Quincy. A celebration of Donna's life will be held on Sunday, December 9, 2018 from 3-6 p.m. at Bethany Mennonite Church, 3497 Edison St NE, Hartville, OH 44632. Food and refreshments will be provided. If desired, flowers may be sent to 13629 Sunflower Ave NW, Mogadore, OH 44260. Add your memories to the guest book of Donna Lakins. From the first day I meet Donna I knew she would always hold a special place in my heart. She was the very best friend anyone could have and she was like a second mother to me. I love her so much and always will. We had so many fun times together that I will cherish forever. RIP my love may you rest easy now with Jerry and look after the kids.